Over 700 guests attended BD’s Architect of the Year Awards last night, hosted by Marcus Brigstocke to celebrate the architectural stars of 2017. The evening of recognition, networking and celebration saw winners announced across 15 categories, together with the winner of the much-coveted Schueco Gold Award, presented annually to the architects practice that has made the most significant contribution to British architecture over the past year. It is the award for the best of the best – and went to Reiach and Hall Architects, with many congratulations. See the Schueco Gold booklet with all the winners here. As noted by the RIBA, the UK’s architecture sector is a global success story. And – in contrast to manufacturing – British architectural firms are already amongst the global export leaders, as reported last week in BD. BD’s Architect of the Year Awards are set to recognise and celebrate this architectural excellence on Wednesday 8 March. Network with the architects that are shaping the world. Come with your team, colleagues and clients to join us on 8 March 2017 at London ExCeL’s Platinum Suite – just upstairs from Ecobuild. The 2017 finalists include: Sarah Wigglesworth Architects, Berman Guedes Stretton, Adjaye Associates, HTA Design, Ayre Chamberlain Gaunt, Morrow + Lorraine, Fletcher Priest Architects, Studio Mills, Foster+Partners, BDP, Prewett Bizley Architects and Adams + Collingwood – see the full shortlist here. Payment is by credit card or we can invoice your company – whichever is easier. The 13th edition of the awards will take place on Wednesday 8 March 2017 at London ExCeL’s Platinum Suite, alongside Ecobuild, the UK’s largest and number one event for specifiers across the built environment. Organised by BD, the BD AYAs are distinguished from other architectural awards by virtue of honouring overall achievement within a particular sector. This provides a truly meaningful premise on which to compare the work of different architects. With two new categories for 2017, we are looking forward to recognising and rewarding excellence in March. With a record number of entries and immense competition, we are delighted to announce the shortlist for 2017. Read more on BD – and book your tickets here. The BD Architect of the Year Awards is now open for entries. Now in its 13th year, the AYA’s are unique in rewarding architectural practices for the best body of work in 15 different categories. As part of its continuing success the awards will take place during Ecobuild at Excel, London, on 8 March 2017. New for 2017 is the BD Architectural Client of the Year award, introduced to recognise the key role good clients play in promoting good architecture. The Education Architect of the Year category has been split into two categories this year, following the high number of entries in previous years and the increased activity in the higher education sector. To enter the BD Architect of the Year Awards visit http://awards.bdonline.co.uk/ before 25 November. All the shortlisted practices and winners will also be extensively featured in BD. The Architect of the Year Awards is organised by UBM EMEA. UBM EMEA connects people and creates opportunities for companies across five continents to develop new business, meet customers, launch new products, promote their brands and expand their markets. Through premier brands such as MD&M, CPhI, IFSEC, TFM&A, Cruise Shipping Miami, the Concrete Show and many others, UBM EMEA exhibitions, conferences, awards programs, publications, websites and training and certification programs are an integral part of the marketing plans of companies across more than 20 industry sectors. Online BD receives 130,000+ monthly unique users, who generate 580,000+ page views a month. Our popular e-newsletters ensure readers always have the latest information at their finger tips. Together with its worldwide network of partners, architects, specifiers and investors, Schueco creates sustainable building envelopes which focus on people and their needs in harmony with nature and technology. The company and its Metal and PVC-U divisions deliver tailored products for new builds and renovations, designed to meet individual user needs in all climate zones. With 4800 employees and 12,000 partner companies, Schueco is active in more than 80 countries and achieved a turnover of 1.425 billion Euros in 2014. In 2017, the event will return on 7-9 March, with a renewed focus on enabling sustainable construction for 2017 and beyond. With Lead Partner the UK-GBC, Ecobuild 2017 will explore sustainability as a driver to innovation and growth, a catalyst for regeneration and as a way for organisations to do better business. 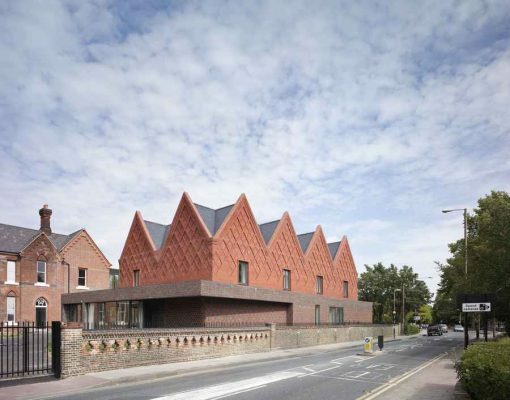 Housing design specialist ABA, the business founded by Canadian-born architect Alison Brooks, has been named the UK’s best architecture practice at the Architect of the Year Awards in London. The judges deemed contribution to housing design by Alison Brooks particularly worthy of celebration at a time when housing delivery in the UK had dropped to its lowest levels since the 1920’s. Other award winners included the architects of the Olympic Eton Manor venue, Stanton Williams, and the architect behind the ground-breaking design of the Halley IV Antarctic Research Station for the British Antarctic Survey, Hugh Broughton. BD’s Architect of the Year Shortlist. Rogers Stirk Harbour, Stanton Williams and Adam Khan on shortlist. Stanton Williams has been presented with the Schüco Gold Award at BD’s Architect of the Year. 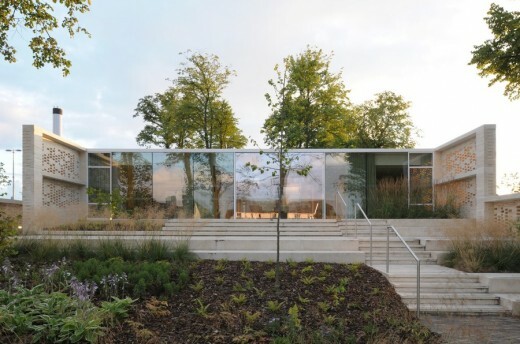 The John Hope Gateway Centre, the leading visitor attraction at the Royal Botanic Garden Edinburgh (RBGE), has picked up another accolade after the firm which designed it was named Public Building Architect of the Year award in the prestigious Architect of the Year Awards. 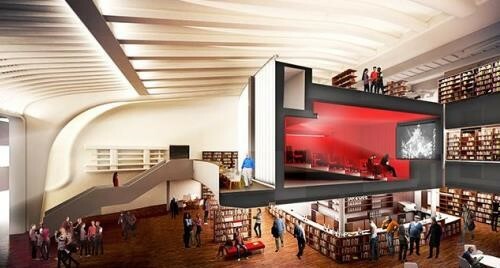 Edward Cullinan Architects picked up the award for their work on the £15.7 million John Hope Gateway, which has been a major tourist and business success since opening in October 2009, and the Herbarium Library Wing at Kew Gardens in London. Since opening, visitor numbers to the Garden have increased by a third to 600,000 and turnover in catering in venues across the Garden – which is provided by Sodexo Prestige Scotland – has more than doubled to almost £2 million. The Gateway Centre was also named Best Unusual Venue in Scotland in this year’s Scottish Event Awards. Roddy Langmuir of London-based Edward Cullinan Architects, said: “This is an award for good work by a great team – clients and designers evolving a specific solution for the Gardens that will help them communicate the interdependency of plants and our daily lives. We arranged all the activities under a single roof to help them spin-off each other and it’s good to see how well the public have adopted the new Gateway – a sustainable business in the making”. The John Hope Gateway – which was named after the eminent 18th century teacher and botanist, who was RBGE’s Regius Keeper from 1761 to 1786 – can cater for venues for meetings, confernces, weddings, corporate events and product launches. 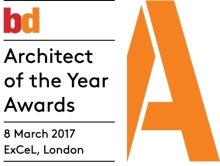 The Architect of the Year Awards – AYA – are organised by Building Design magazine, in co-operation with Building and Property Week magazines, to identify and reward the most outstanding architects across a range of different types of design work. March 9, 2017 in Awards.